Today, Tuesday, July 17, 2012 the Historic Districts Council and the Historic Landmarks Preservation Center in New York City will unveil new cultural medallions for two pioneers in the fields of literature and music. First at 11:00am, in collaboration with the Fort Greene Association, author Richard Wright will be celebrated with a medallion unveiling at 175 Carlton Avenue in Fort Greene, Brooklyn. Then at 2:00 pm their will be an unveiling of a medallion commemorating the life of Odetta, the legendary singer, songwriter and political activist, at her longtime residence, 1270 Fifth Avenue, in East Harlem. The public is invited to both events. 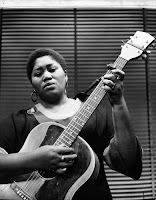 Odetta Holmes, born on December 31, 1930 in Birmingham, Alabama was a true activist, performance artist and musician. Her powerful image and robust voice was and continues to represent the politically driven folk-music of the 1950’s and 1960’s. As an African-American female performance artist during a time of political and racial upheaval, Odetta was a leader and voice for the civil rights movement- marching with Martin Luther King Jr. and performing a show for John F. Kennedy. The ability she had to convey meaning and life into her music inspired others to follow in her pursuit of fairness, equality and justice. Born in Mississippi, Richard Wright spent the majority of his childhood living in poverty in the oppressive racial and social atmosphere of the south. Wright escaped familial and social constraints by immersing himself in the world of literature, and became one of the first great African American writer’s of his time. Richard Wright relocated to Brooklyn’s Fort Greene neighborhood and was living here in 1938 when he drafted his first novel, Native Son. He wrote several controversial novels, short-stories and semi-autobiographical accounts that reflected the brutalities often inflicted on the African American people of the south during this period. Wright eventually left New York City for Paris. His grave is located in the Pere Lachaise Cemetery. Distinguished scholars, artists and elected officials will be participating in both of the cultural medallion ceremonies. The Richard Wright program will include Brooklyn Borough President Marty Markowitz, celebrated playwright Lynn Nottage, Paul Palazzo of the Fort Greene Association, musician and author Carl Hancock Rux, and Howard Pitsch will read a message from Wright’s daughter, Julia Wright, who currently resides in Paris. Pianist Dave Keyes will perform Odetta’s signature piece, This Little Light of Mine, at the Odetta ceremony. The Cultural Medallions are a program of the Historic Landmarks Preservation Center. Barbaralee Diamonstein-Spielvogel, Chair of the HLPC, created the Cultural Medallions program, and will lead the ceremony. The HLPC has installed almost 100 medallions around the city to heighten public awareness of the cultural and social history of New York City. 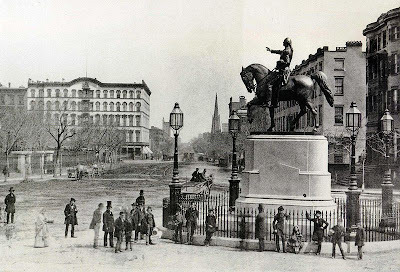 Organizations throughout the state will celebrate New York history during this year’s New York Heritage Weekend on May 19th & 20th. Now in its 3rd year, the weekend will offer special programs, discounted or free admission to sites and events that celebrate national, state or local heritage. Guided hikes, local history festivals, historic garden events, open historic houses, and events that explore all kinds of New York culture and history are on tap. Last year Heritage Weekend hosted 166 Heritage Weekend events with 143 federal, state, and private organizations. For a full searchable listing of events, and maps see www.heritageweekend.org . Not only does this Heritage Weekend celebrate New York’s rich history, but it also boosts local economies. According to recent studies, tourism generates 81 billion dollars and sustains over 670,000 jobs in New York. According to a recent study recent commissioned by the U.S. Cultural & Heritage Tourism Marketing Council and the U.S. Department of Commerce, 78% of US domestic travelers participate in cultural or heritage activities. New York Heritage Weekend 2012 is funded in part by The Hudson River Valley National Heritage Area and Erie Canalway National Heritage Corridor and sponsored by I Love NY, National Park Service, New York State Office of Parks, Recreation and Historic Preservation and participating event partners. 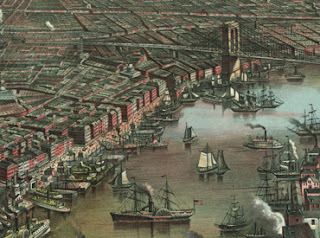 The economic history of New York is filled with high-stakes drama. 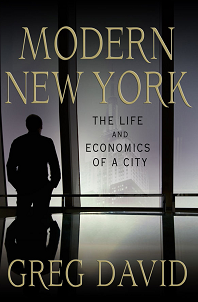 In Modern New York: The Life and Economics of a City (2012, Palgrave Macmillan), journalist, economist and political commentator Greg David (who edited the regional Crain’s New York Business for more than 20 years and is now director of the business and economics reporting program at the Graduate School of Journalism at CUNY), tells the story of the city’s financial highs and lows since the 1960s. David fairly conservative approach looks at how Wall Street came to dominate the economy in the years following a decade of economic decline. He argues that New York City’s great recession is not happening now, and it didn’t happen after 9-11. &#8220The Great Recession That Wasn’t&#8221, is David’s term for the current American economic disaster. This understanding of New York’s post-war period rests in part on the neo-liberal interpretation of New York City’s recent history. It goes something like this: the anti-business policies (regulation, and higher taxes) of liberal machine politicians like John Lindsay (Mayor from 1966 to 1973) and Abe Beame (Mayor from 1974 to 1977) led to the loss of manufacturing and then the flight of New Yorkers from a desperate, crime-ridden and &#8220grimy&#8221 Gotham. Only the pro-development policies of Ed Koch and the great victory of Rudolph Giuliani, reformist street cleaner and crime fighter, kept New York City from becoming another Detroit. That’s more or less the story told here in chapters like &#8220Structural Not Cyclical&#8221, and &#8220Making New York Safe For Commerce&#8221. David chastises leaders for failing to recognize long term manufacturing declines, and points to unions, burdensome taxes, and restrictive zoning as the major culprit. Perhaps due to the author’s limiting regional scope and focus on the perspective of the business community, significant American trends such as baby-boom suburbanization, container shipped goods from low wage workers in Asia and elsewhere, and media-based perceptions about crime and quality of life issues are set on the back burner. For example, a wider perspective in Modern New York would include worker struggles to retain the wages and benefits that made living in the city attractive. New York City’s economic decline coincided directly with unprecedented attacks on the city’s workers. Witness, for example, the 1966 transit strike during which Lindsey refused to negotiate and mocked workers to the press. Or the seven-month teacher strike in 1968 that was the result of the firing of teachers opposed to Lindsey’s contract negotiation plan to divide their union. These strikes were followed by actions on Broadway, and the sanitation strike in the fall of 1968. In 1971 the city’s AFSCME workforce walked off the job. One might argue that workers simply had no interest in living in the city’s difficult employment environment. Whatever the cause of the city’s working class losses, Modern New York could have offered a deeper, more multidimensional understanding of the city’s recent economic history. In David’s interpretation, after 9-11 the finance industry and tourism stepped in to help save the day, at least temporarily. 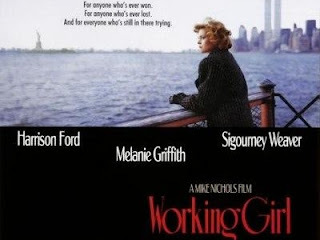 In a chapter entitled &#8220Three Sectors To The Rescue&#8221, the author suggests that film and television production, higher education, and the technology sectors are the future of New York, leaving the contrary reader to wonder how the city can survive without its working class. What do theaters, cultural centers, jazz clubs and the like contribute to local economies? To public safety? To neighborhood desirability? Many agree that culture is an essential component of urban livability, but quantifying how much and in what ways is a challenge. And that makes justifying and attracting investment an equal one. At the forum &#8220Measuring Vibrancy: The Impacts of Arts-and-Culture Investments in Placemaking,&#8221 the Municipal Art Society of New York expects to offer those involved in placemaking – an approach to developing public spaces that starts by gathering information about users’ and potential users’ needs and aspirations – a chance to hear how some of their counterparts have met the measurement challenge. 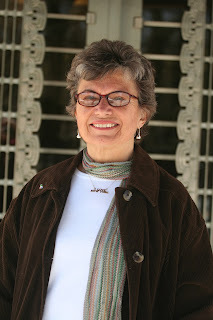 ArtPlace, which moderator Carol Coletta leads, is a national collaborative of foundations, federal agencies (including the NEA) and some of the nation’s largest banks which support placemaking initiatives. The organization is in the process of developing a set of “vibrancy indicators” that will measure the impact of investments in arts and culture. &#8220Measuring Vibrancy: The Impacts of Arts-and-Culture Investments in Placemaking&#8221 will be held on Tuesday, April 24, 6:30 &#8211 8:00 pm (reception to follow) at the National Museum of the American Indian (One Bowling Green, NYC). The event is free, but registration is required. This is the latest program in the MAS Arts Forum series. Produced since 1990, the series presents visionary cultural leaders working in all disciplines, across the country and around the world, who share their knowledge and experience with New Yorkers passionate about arts advocacy, policymaking and management. 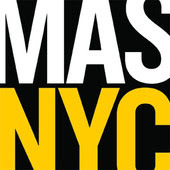 This event follows an April 12 MAS Arts Forum in which the leaders of all three NYC library systems will discuss the libraries’ role as centers of neighborhood cultural activity. 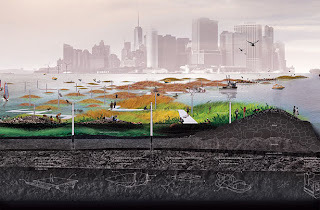 The Municipal Art Society of New York, founded in 1893, is a non-profit organization committed to making New York a more livable city through education, dialogue and advocacy for intelligent urban planning, design and preservation.